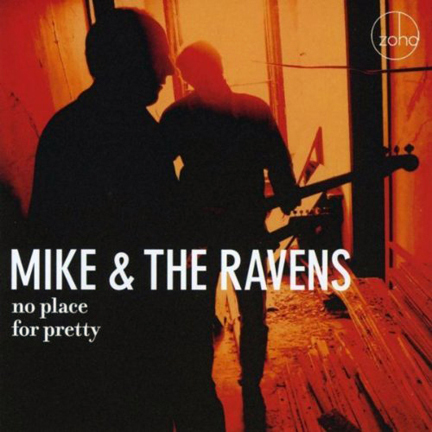 This is the astonishing second ZOHO CD release of Plattsburgh, NY garage rockers MIKE & THE RAVENS after 2008’s “Noisy Boys”  which Chuck Eddy, senior editor of BILLBOARD, counted as one of the top 100 releases of 2008! They’re baack! Founded in 1960 by singer Mike Brassard and the Blodgett brothers in Upstate New York, arrested for “disturbing the peace” in 1963, dormant for 44 years, re-formed in their original line-up 2007, ZOHO release of their stunning album debut “Noisy Boys” in 2008, topping themselves with their hard-charging, take-no-prisoners sophomore ZOHO release “No Place for Pretty” in 2009  meet Mike & The Ravens! From 1960 - 63, Mike & The Ravens were early pre-Beatles/British Invasion rock’n’rollers, influenced by Jerry Lee Lewis, Buddy Holly & Link Wray, with a substantial regional following In New York, just south of the Canadian border. 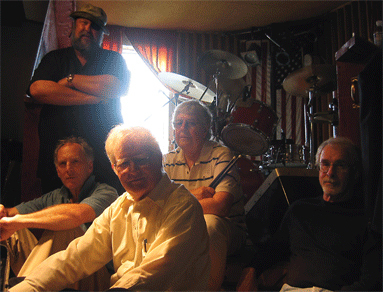 “Over the summer of 2008, we Ravens, and producer Will Shade, practiced at Saxony Studios in Rouses Point near Plattsburgh, New York, our old musical stomping grounds from the early 1960s, and only a few miles south of the Canadian border. We were getting ready to play live for the first time in 45 years! Our first ZOHO CD, "Noisy Boys  the Saxony Sessions", released in September 2008, was getting great reviews. The Ravens were booked in Montreal and Atlanta, for a short tour in support of their new record. We wanted an audience. The Ravens had five new songs and five from 1962 and 63, all originals. We had new confidence as a result of the positive critical response to “Noisy Boys”. We pushed harder and played faster. Our goal was pure rock and roll. Mike & The Ravens - Summer 2008. Then illness in the band made it impossible to perform live. The band was left with the new songs and the re-worked old songs - and nowhere to play them. Because the band was in the same vintage studio where we had recorded our initial singles in the early 1960s, and then “Noisy Boys” in 2006/7, we decided to turn on the analog sixteen-track analog and record all of our new and re-worked songs. Here they are. Stephen Blodgett, member and songwriter, Mike & The Ravens.